Remember that buy signal at 1.3783 that my HLHB-Trend Catcher system generated last week? Well, it turned out to be a winner! 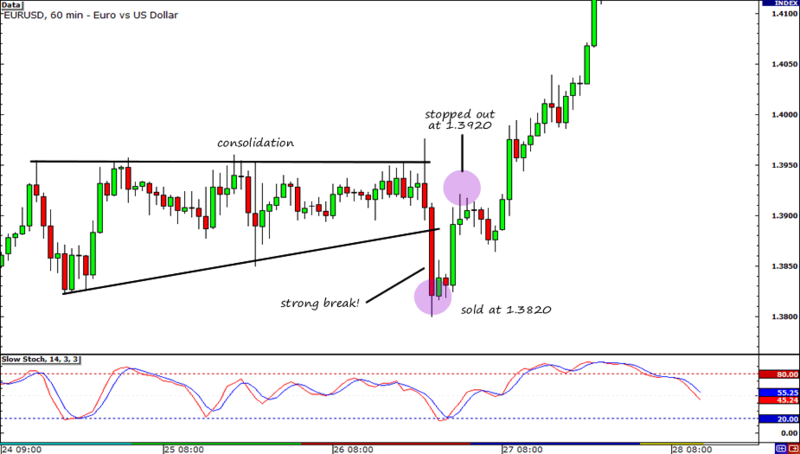 It closed when a new crossover materialized at 1.3913, closing the previous trade with a 130-pip win. There were a total of four crossovers for the week, however, three of them turned out to be fakeouts. I would’ve been pretty bummed out about this but luckily, the ADX wasn’t above 20 when the crossovers materialized, making the entries invalid. 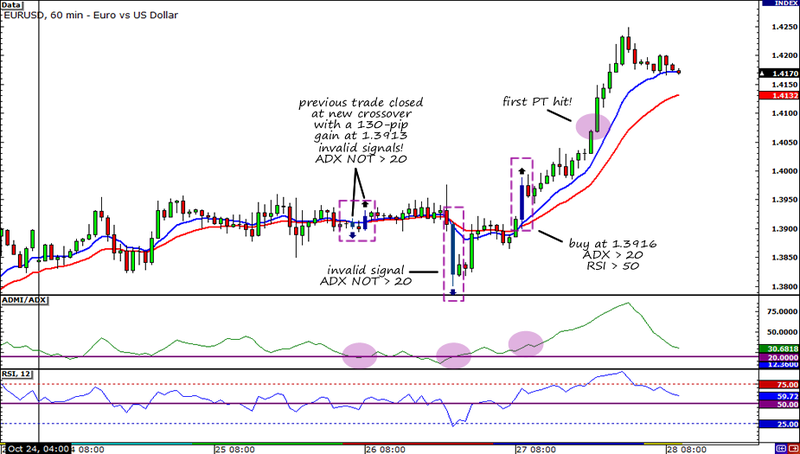 On the other hand, ADX was above 20 and RSI was above 50 when the last crossover for the week materialized. A buy at 1.3916 would’ve been a valid trade signal and it would have already hit its first PT at 1.4066. I’ll be sure to update you where the remaining half of the position closes. My discretionary system didn’t do so well though. If you recall, I posted a couple of trade ideas on GBP/USD and EUR/USD earlier on in the week. I ended up taking the EUR/USD setup and shorted when the pair traded below the consolidation. It looked like a pretty strong break so I thought selling the pair would be a good idea. However, it didn’t take long for the pair to resume its upward rally and stop me out. Boo! From what I’ve read on Pip Diddy’s daily forex fundamentals reports, it seems like the EU Summit was the main focus of the markets during the week. For the most part, EUR/USD consolidated as market participants were unsure of the outcome of the meeting. If I’m not mistaken, the cancellation of the EU finance ministers meeting caused EUR/USD to trade below the range. But after a couple of hours, market sentiment turned 180-degrees and investors took it as a positive sign, spurring the euro’s rally. I wonder if we’ll get more positive vibes from the euro zone now that policymakers have already announced their plans to keep Greece from defaulting. Will we see EUR/USD continue trading above 1.4200? What do you think? Cast your vote in the poll below! Will EUR/USD continue trading above 1.4200?